Make Serving and Drinking Wine Hassle-Free. 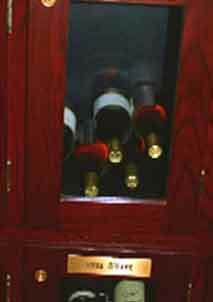 Have Important Accessories in Your Texas Residential Wine Cellar. For most wine enthusiasts, drinking wine will not be complete without some basic accessories in their Texas residential wine cellars. These accessories will make serving wine convenient, safe, and manageable, resulting in a more enjoyable drinking experience. Serving and drinking wine cannot be truly appreciated without the necessary tools at hand. Having some of the basic wine cellar accessories at home is recommended. These include wine glasses, bottle openers, and wine aerators. Since they make serving and drinking wine convenient, investing in them is a good idea. Many wine enthusiasts believe that the right type of wine glass enhances wine’s desirable characteristics. Wine glasses come in various styles, shapes and sizes. The shape of the bowl is designed in a way that the bottom part is wider than the top. This helps proper distribution of wine’s aroma to your nose and mouth. Large bowls are essential for exposing wine to the right amount of oxygen through swirling, which is known to release precious aromas of wine. 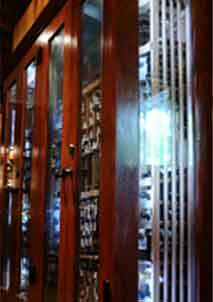 George Riedel, an Australian glassmaker, is popular for creating high quality glass products. He has come up with many wine glass designs tailored for a specific type of wine. He believes that the shape, size, and every part of a wine glass contributes to how wine tastes. For some wine experts, having a Bordeaux-style glass for reds, and a Riesling-style glass for whites is enough to elevate a wine tasting experience. The glass used for reds is tall, with a broad bowl. For whites, a U-shaped glass is used. It is narrow, medium in height, and has a long stem. 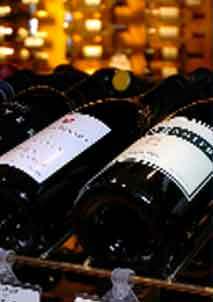 Most collectors have different types of wine glasses stored in their Texas residential wine cellar. Another essential accessory that releases the unique characteristics of wine is the wine aerator. This device allows wine to mix with the right amount of oxygen while you pour it into the glass. Those who don’t have an aerator aerate an opened bottle of wine by letting it sit for about an hour. You don’t want to wait this long before you can drink your favorite vintage. Therefore, a wine aerator is worth investing in. It is undeniable that there is something charming about opening a bottle of wine by popping the cork. However, oftentimes, removing the cork can be a struggling experience. Without the right tool, you might end up having pieces of cork in your wine. If you don’t want to consume much of your time doing this, you can use a good wine bottle opener, designed to make uncorking a bottle of wine a convenient task. You can opt for traditional corkscrews, but you will need manual twisting or pulling. A more reliable and easy way to uncork a bottle is by using an electric wine opener. This handy wine cellar accessory can remove cork in a matter of seconds without much effort needed. It is a perfect investment for a serious wine collector. Most electric wine bottle openers are designed with the added benefit of a sleek presentation. You and your guests can create a memorable drinking experience with the right accessories for serving and drinking wine. More importantly, you must have a climate-controlled Texas residential wine cellar to be able to benefit from great tasting wines. 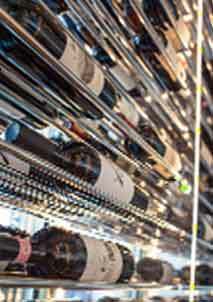 Don’t have a wine cellar yet? 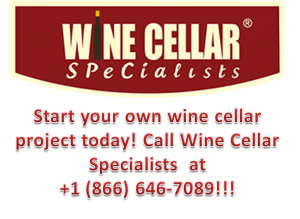 Wine Cellar Specialists can design and install a refrigerated wine room where you can age your wines, and store your accessories as well. Call them today at +1 (866) 646-7089!! !